Today’s online retailers are operating in a consumer-empowered marketplace. Shoppers have a constantly increasing number of stores to choose from. And they’re much more likely to shop with a brand who demonstrates a commitment to the customer experience than with a brand who is clearly only looking out for #1. In other words, consumers are holding all the cards. This means if you want to capture their attention, you’ve got to outshine your competition from the start. at every step of the customer journey. See, not every shopper is in the ready-to-buy stage. So your marketing can’t be focused exclusively on driving sales. If it is, you’re missing a big opportunity to connect with potential customers who are still window-shopping. The most effective way to build relationships with consumers who are just browsing is with ecommerce content marketing. When you offer shoppers valuable content, you position your brand as a helpful partner — not just another online retailer looking to make a buck. Ecommerce content marketing allows you to generate demand for your brand in a less salesy way. Make your marketing something shoppers actually gravitate towards, not something they sprint away from. Here’s how. Be honest: Is every product in your store something you’d buy for yourself? It’s OK if not. It’s totally possible to be passionate about the merchandise you sell and not share characteristics with your target audience. This isn’t necessarily an issue when you’re marketing specific items. But when you move beyond writing site copy and product descriptions to creating content on broader topics, you need a genuine inside perspective. You can’t make assumptions about what matters to your audience. Rather, you have to go straight to the horse’s mouth. There’s an online community for pretty much everything. And the message boards for these communities can offer you valuable insight into which topics you should create content for. 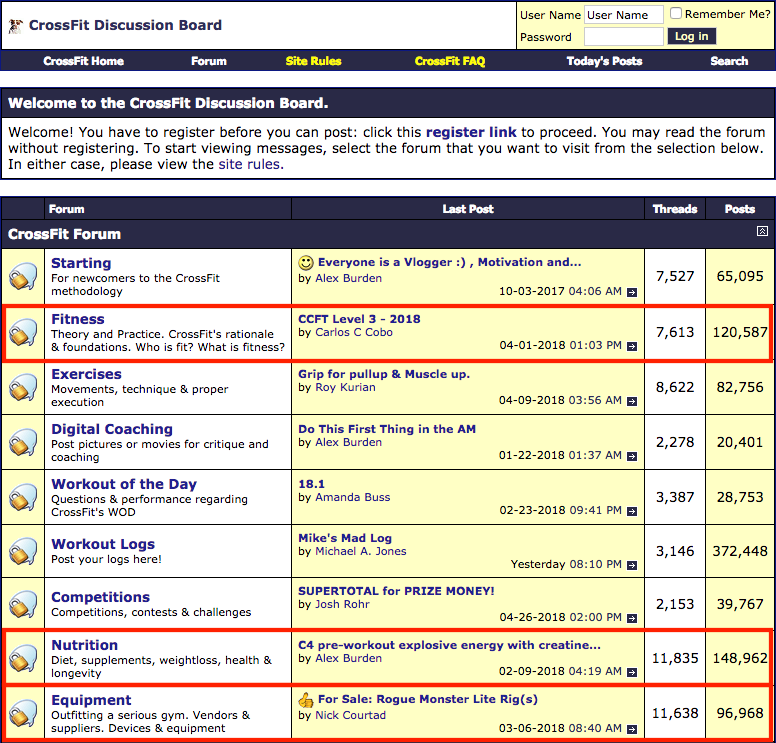 Based on the number of threads and posts, members of the CrossFit community care a lot about nutrition and health, CrossFit philosophy, and equipment. So if your target shoppers are CrossFitters, you’ve now got an idea of the general topics these individuals are most interested in. Clearly, the Paleo Diet is a big one. This means if your store wants to appeal to this audience, you must have content discussing the Paleo Diet. For example, write a blog discussing “10 Ways to Stick to Your Paleo Diet” or create an infographic titled “25 Fascinating Facts About the Paleo Diet”. The goal of ecommerce content marketing is to give customers useful advice that speaks to their individual pain points. 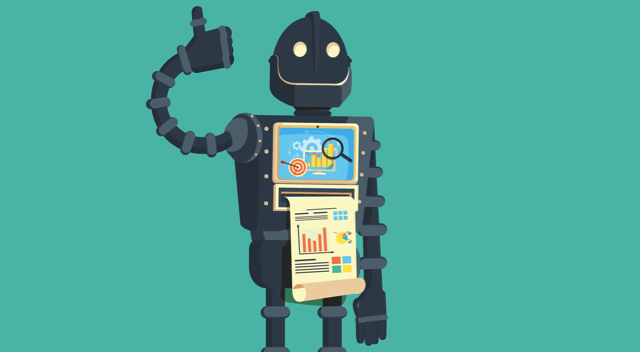 And one of the best ways to uncover the most common issues your audience faces is to visit sites dedicated exclusively to answering their specific questions. 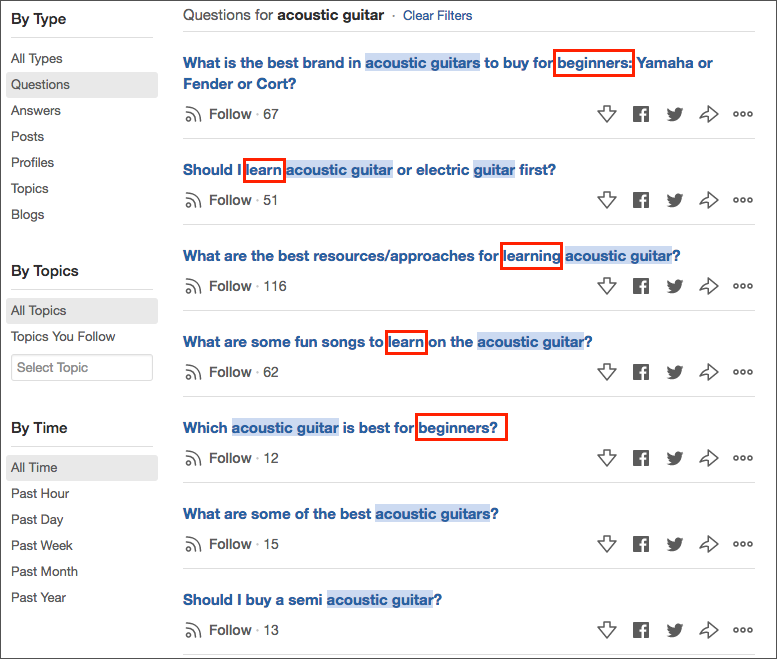 Some of the most popular questions are all related to learning how to play the acoustic guitar. Accordingly, it’d be a good idea for a guitar retailer to create content on the fundamentals of playing an acoustic guitar and/or how to choose the best acoustic guitar for beginners. Hopefully you’ve provided shoppers with multiple ways to get a hold of you. At the very least, this means a customer support email address and social media pages. Compile a list of all the questions and comments you get on each communication channel. Review the list and pick out any recurring themes. 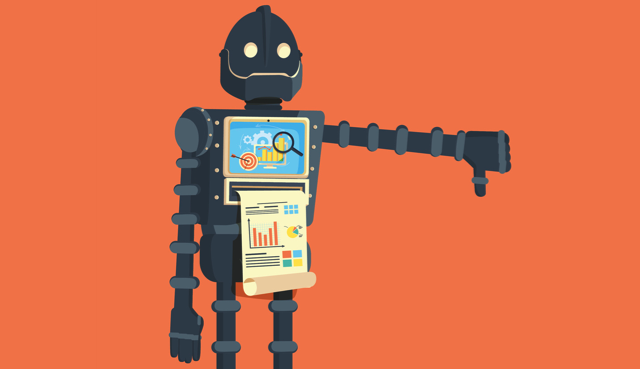 Use your analysis to guide your ecommerce content marketing strategy. For instance, say you sell camping equipment and customers consistently ask about how to get the most out of your gear. Create a video that shows shoppers how to extend the life of their equipment (like in the example below). Blogs are an essential part of a successful ecommerce content marketing strategy. Maintaining a blog is relatively easy, and there are always new topics to write about. But your content can’t start and end with a blog. There’s a reason I dedicated an entire article to holiday gift guides. They are one of the most effective ways to bring new shoppers in during the busiest season of the year. Not only that, well-researched and well-designed holiday guides can give existing customers gift ideas they may not have considered or even known about. Everyone loves a good story. And what makes a good story a great story is relatability. 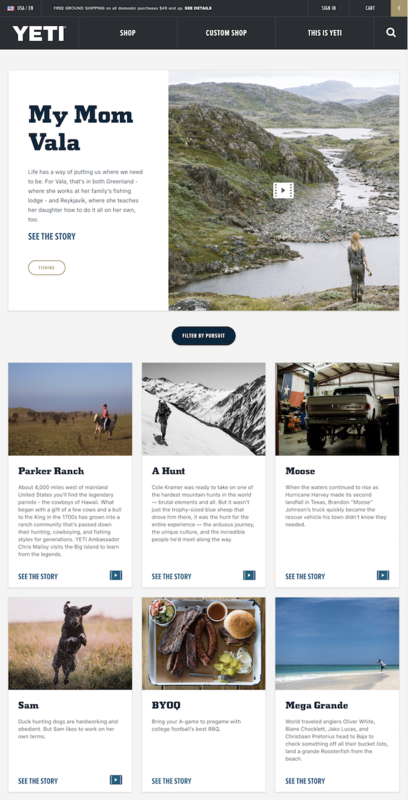 Storytelling content gives you the opportunity to connect with shoppers in an authentic way with real-life narratives from existing customers. Reach out to your customers and ask them to share how your products have made an impact on their lives. Blend these stories into a series of blogs or videos. When shoppers can see how individuals similar to them became loyal customers, they’ll feel more confident your brand has what they’re looking for. Loyal customers are a super valuable resource when it comes to marketing. Instead of relying only on content you’ve created, take advantage of the content your customers have made. Encourage your customers to become brand advocates and invite them to share their photos and videos on your social media pages. You can also ask them to tag you and/or use a special hashtag on their own accounts. Like any marketing strategy (like the strategy for anything, really), there are both good and less-than-good tactics for ecommerce content marketing. Obviously you need to have plenty of high-quality, relevant content. But quantity should never outweigh quality. Shoppers won’t consume your content simply because it’s there. Whatever you offer needs to be something that addresses their unique needs. It’s fine to use general advice as a jumping off point for your ecommerce content marketing strategy. But no retail business is exactly like yours, which means no business will have exactly the same objectives. Pick the goals that make the most sense for where your brand is and where you want it to go. Feel free to repurpose your existing content into other pieces. 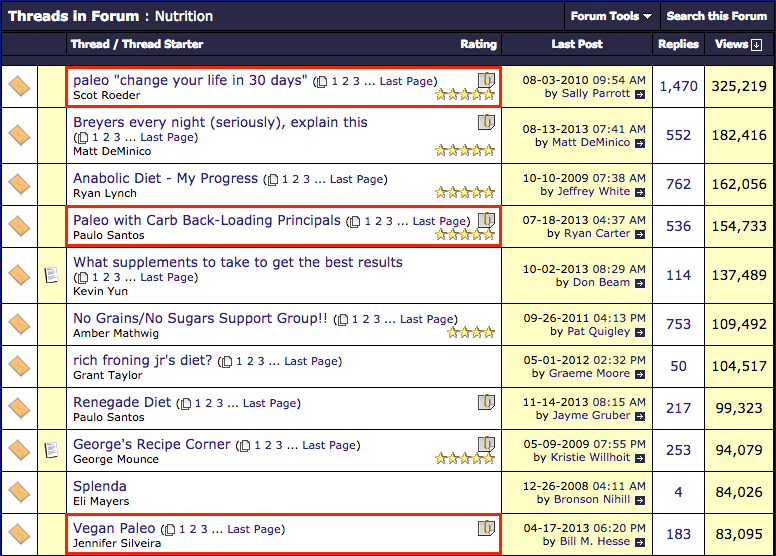 For example, take some highlights from a few customer stories and combine them into a blog post. Or turn part of a buyer’s guide into an infographic. Ungated content can be used to spark interest in your more extensive gated content. 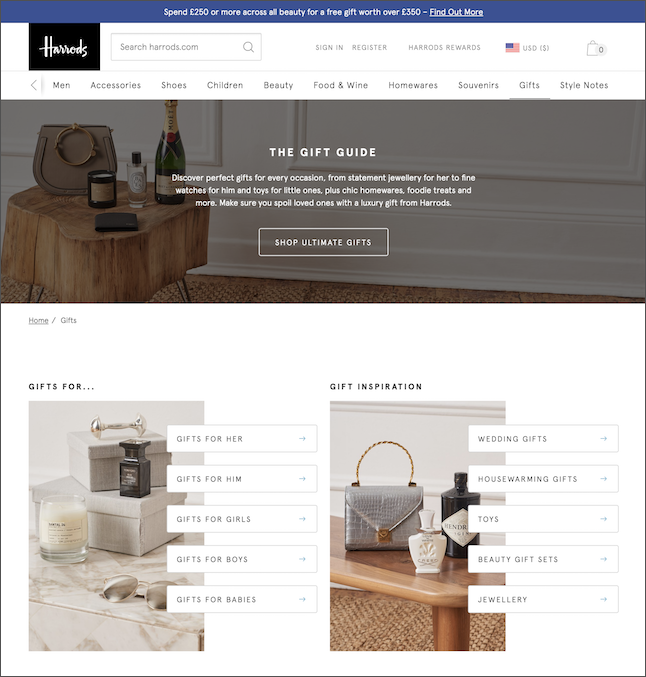 Give shoppers a sneak peek at what’s behind the form. This helps them feel more comfortable giving you their email address so they can access additional content. Limit the amount of contact information shoppers must provide to access the content. Try to keep it to a bare minimum, such as only asking for their name and email address. Give them an incentive to hand over their information. While they may already be getting something out of the transaction (i.e., content), offering a promo code or coupon can give shoppers an extra push to submit the form. You must objectively and accurately assess how much time and money you can dedicate to content marketing. If you need to hire an agency, then hire an agency. The whole point of content marketing is to grow your business. 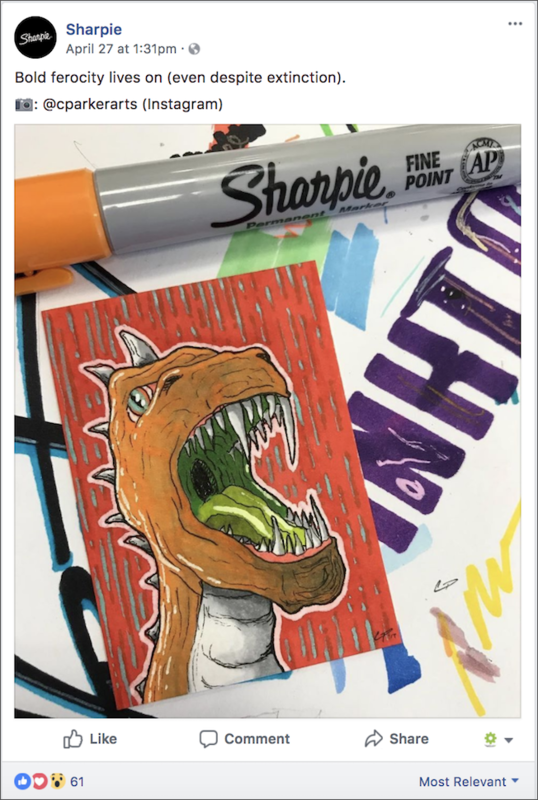 And if you bite off more than you can chew, you’ll end up hurting your brand more than supporting it. It doesn’t really matter if you create mindblowingly amazing content if shoppers don’t know it exists. Promote the content on your homepage. Post it on your Facebook, Instagram, and Pinterest. Just make sure that your target audience sees it. SEO is undoubtedly important for content exposure. But Google cares sooo much more about the relevancy and quality of your content than how many times you say “makeup tips”. Keyword-stuffing is a sneaky tactic where brands use keywords excessively in the hopes of tricking search engines. Google hates this. And you want Google to like you. So don’t do it. To be sure, you want shoppers to know who you are. But remember: ecommerce content marketing is about being educational, not salesy. 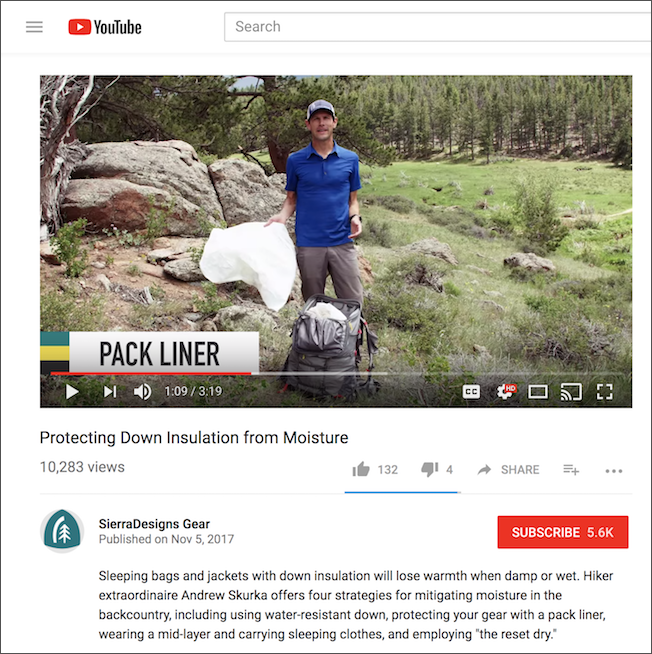 Don’t plaster your store information and/or logo all over your content — especially the content designed to engage shoppers who are in the earlier stages of the customer journey. It essentially defeats the basic purpose of content marketing. There are three variables that will affect the success of your ecommerce content marketing: the economy, the marketplace, and what your competition is doing. You cannot change these things, so don’t bother trying. Focus on the elements you can govern. This includes the time and budget you invest, the quality of your content, and how well you promote your content. The biggest piece of advice I can give you about ecommerce content marketing is this: It’s a marathon, not a sprint. You need to be in it for the long haul. Because likely the results won’t be immediate. But if you create content shoppers will appreciate on a regular basis, the return will be well worth the investment. Paleo diet is the short for Paleolithic diet(also called as caveman diet) which means the food eaten by the human species in the Paleolithic age which was some two million years ago. Early humans at that time usually consumed wild animals and various plant species in order to survive as there was no agricultural practice developed at that time. Some of the contents of a Paleo diet include nuts, roots, fruits, fungi, fish, meat and vegetables and eatables like dairy products, legumes, grains, salt, sugar etc. are eliminated from the diet plan. Thanks for the rundown on the paleo diet, Paul! Appreciate it! it is always a pleasure to discuss great ways to increase the growth of your online store in terms of sales and traffic through ecommerce content marketing. And that’s exactly what I’m going to do in this article. This strategies are really awesome. Though I have not applied all of them, I am quite touched. Kudos! Keep up sharing new ideas that would help millions of startup like ours that struggle to survive. Commenting Q&A sites, forums etc. are amazing ways to spread knowledge and attracting users toward the website. You can also include a point on “adding blog section’ to the website. It will also help in driving huge traffic to the site. This is a great article. Content marketing is very crucial to traffic and overall business growth. Content is still king in 2018 and it will continue to be King. Business owners prefer to get in contact with your business via your content rather than ads.